HTC Corporation (“HTC”), a global leader in mobile innovation and design, has announced the HTC Desire 626,the successor to the HTC Desire 620. With a variety of colour combinations, endless personalisation options, and an enhanced camera that enables sharper photography, the affordable smartphone lets you express yourself your way like never before. “Our new HTC Desire 626 is designed to give you the most customised personal user experience. Packed full of advanced features, we are delivering the very best in terms of personalised design and performance, as well as great value, to our customers,” said Peter Frølund, HTC General Manager UK and Ireland. The HTC Desire 626 offers vivid colours in a beautifully crafted dual-tone design, and delivers a unique user experience. Easy and intuitive to use, it runs on Android™ 5.1 and features HTC Sense™, which provides an enhanced, fully customised Android functionality. With the HTC Sense interface you can change the look of your phone’s interface as often as you change your own style; maximum customisation, minimum effort. These endless personalisation possibilities allow you to create, share and realise your full potential. Powered by a Snapdragon™ 1.2GHz Quad-Core processor, the HTC Desire 626 delivers a smooth and reliable experience with the capability to allow you to effortlessly stream films, run your latest app, play your favourite games or flick through your latest photos, which all come to life on the vibrant 5 inch HD LCD screen. Keeping an eye on breaking stories or your social feeds is made easy with HTC BlinkFeed™, which provides easy access to your own personalised stream of online content in seconds, allowing you to stay updated at a glance, direct from your homescreen. Whether you have a passion for photography or capturing short impactful videos, the HTC Desire 626 can be your perfect pocket companion. With the choice of an enhanced 13MP main camera or a 5MP front camera, photos and selfies can be taken from any angle, ensuring you can fully express yourself with sharper images and selfies. The HTC Eye™ Experience allows you to easily edit your shots for instant effects thanks to built-in enhancements. 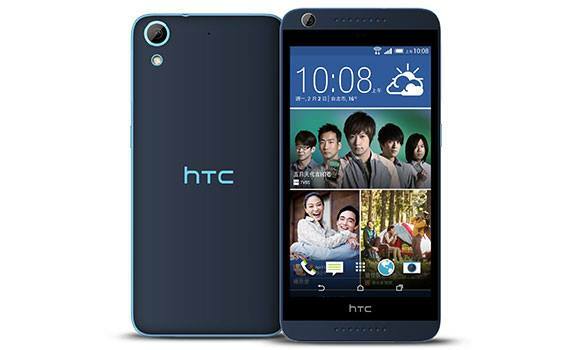 The HTC Desire626 also features the ability to capture high-quality 1080p video using either the front or rear facing cameras, which can be turned into mini movies that can be shared with friends and family using the HTC Video Highlights feature. With a range of storage options, from 16GB internal memory to a MicroSD slot that supports up to 512GB additional storage, you can save and share every photo, video and experience that defines you, as often as you wish. The HTC Desire 626 comes in White Birch, Blue Lagoon, Purple Fire and Dark Grey, and will be available with mobile operators including O2 and 3 as well as major retailer Carphone Warehouse.